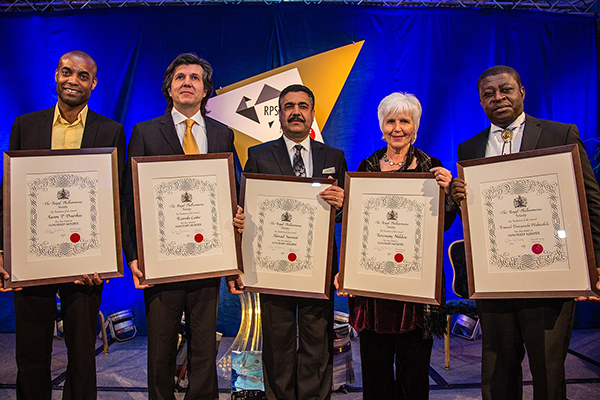 At the RPS Music Awards this month, alongside our usual array of awards we also marked our bicentenary by presenting five special RPS Honorary Memberships. These international music makers have put music at the heart of some of the most challenged communities in the world, supported young musicians and made a profound difference to diversity in music making. The short videos below offer a a window onto the vital work of these extraordinary people. ► Rosemary Nalden, British viola player and founder of Buskaid, who persuaded distinguished musicians to busk at British railway stations to raise funds for a string project in South Africa, and now directs the thriving stringed instrument school in Diepkloof, Soweto. ► Ricardo Castro, International pianist (and former winner of the Leeds Piano Competition) who established a flourishing youth music programme in Bahià, Brazil. ► Aaron P. Dworkin, the founder of the Sphinx Organization, which gives opportunities and assistance to aspiring Black and Latino musicians in the USA. Sphinx’s mission is for classical music to embrace the diversity inherent in the society that it strives to serve. Our blog might have fallen rather silent over the last few months, but the RPS certainly has not…!